I salute each of you on this special day, Civil Air Patrol’s 73rd anniversary. Each year on Dec. 1 we are reminded of the sacrifices of CAP’s earliest members, whose extraordinary contributions to America represent our proud legacy of selfless sacrifice and service to country and community. But never more than on this Dec. 1, just nine days away from a long-awaited ceremony at the U.S. Capitol in which CAP will receive the Congressional Gold Medal in honor of our very own World War II veterans from America’s Greatest Generation. Organizing less than a week before the Japanese attack on Pearl Harbor in 1941 that led to America’s involvement in World War II, these founding members of CAP were quick to answer the call of civilian service on the home front. They proved their worth by conducting aerial patrols that discouraged and eventually stopped deadly German U-boat attacks on shipping along America’s coastlines and waterways. Their vigilance helped save lives and preserved our nation’s freedom. The legacy of these brave and heroic men and women lives on today through each of you, the 59,000 citizen volunteers of Civil Air Patrol. Every day you too make a profound difference in your communities, saving lives through search and rescue and other emergency services and conducting aerospace education and youth programs that help develop our nation’s next generation of leaders, while also still contributing to our nation’s defense. CAP has truly come full circle, today providing the same vigilant civilian service that our founders began on Dec. 1, 1941. Over the past 73 years, hundreds of thousands of other men and women – everyday heroes like you – have built on the foundation our World War II-era veterans set for us. Your contributions have helped CAP evolve into a world-class public service organization. With the Congressional Gold Medal presentation approaching, it is a great time to be a member of Civil Air Patrol. Thank you for your service. … Now let’s celebrate. Happy 73rd Anniversary, CAP. On Wednesday, December 10, 2014, leaders of the U.S. House and Senate will present a Congressional Gold Medal in honor of members of the Civil Air Patrol whose valor and dedication saved countless lives during World War II. House Speaker John Boehner (R-OH), Senate Majority Leader Harry Reid (D-NV), Senate Republican Leader Mitch McConnell (R-KY), and House Democratic Leader Nancy Pelosi (D-CA) will take part in the bipartisan, bicameral ceremony. A tradition dating back to the American Revolution, the Gold Medal is the highest civilian honor the United States Congress can bestow. Pursuant to S. 309, enacted on May 30, 2014, a single medal has been struck to honor collectively the World War II members of the Civil Air Patrol in recognition of their military service and exemplary record. Founded just six days before the attack on Pearl Harbor, the Civil Air Patrol – which was comprised of civilian volunteer pilot and aviators – logged 500,000 flying hours during World War II, performing such duties as sinking U-Boats and saving crash victims. On May 26, 1948, the Civil Air Patrol officially became an auxiliary of the U.S. Air Force. The ceremony will take place on Wednesday, December 10, 2014 at 3:00 pm ET in NationalStatuary Hall of the United States Capitol. "For the past three years, 2LT Ralph 'Paul' Koons has held the staff position of Recruiting and Retention Officer and each of those years he has faithfully and consistently discharged his duties in that position. (1) Regularly visiting and attending events at the Lyon Air Museum at John Wayne Airport in Orange County. Paul ensures that there is an abundant availability of Civil Air Patrol recruiting literature available in the display racks. Moreover, he works with the museum personnel to amplify CAPs presence in that facility. (2) Every year -- especially during the evaluation period -- 2LT Koons serves as a liaison and works with the Los Alamitos JFTB committees charged with planning and holding the annual Wheels, Wings, and Rotors show at that facility. It is by dint of Paul's efforts that this unit is afforded this annual chance to meet and recruit prospective members in its own backyard. (3) Additionally, 2LT Koons works with those organizations that hold air shows and expositions at the Long Beach air port. As with the Wheels, Wings and Rotors event, Paul regularly sets up an Easy-Up and sees to it that CAP and Squadron 150 have a presence there. He also has done this at the Fullerton event and other get-togethers. "I do air shows like the one at the Long Beach Airport, at the Wings, Wheels, and Rotors event, and at the Fullerton Air Show. We take our EZ-Up, our chairs and table and pass out a lot of literature, provided by Maxwell AFB, to educate the people about the Civil Air Patrol. Also, the Long Beach Airport lets me have a table for CAP if they have a special event and they bring in outside people. I have provided guest speakers to speak about the Civil Air Patrol on several occasions to different groups. I talk with college students who want to get into the aviation field during the Long Beach tours. 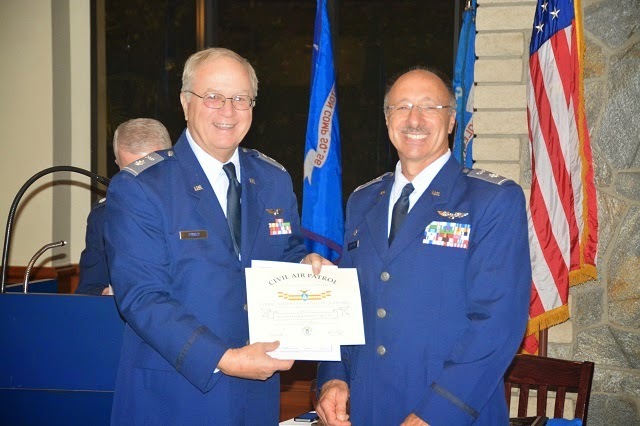 This can happen three or four times a year"
'"Over the last year, I can't say how many people I have brought into Civil Air Patrol because many people may go to different squadrons. My best guess is that over two dozen have joined the Civil Air Patrol through my recruitment efforts." The results of Paul's efforts have been impressive. During this evaluation period, this unit averages one legitimate prospect per month and fully 80% of them have gone on to become staff officers or assistants with promising abilities and futures in CAP and California Wing. 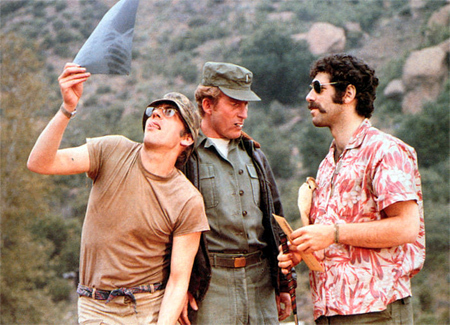 Of course, Paul's recruiting efforts are not limited to Squadron 150. He has provided members to other units where there membership might be more appropriate owing to geography or age. Squadron 40 and 153 have benefited from 2LT Koons' conscientiousness. 2LT Koons' unselfish effort and performance of his duties and responsibilities in this and other areas exemplify the highest standards for CAP's Core Values, principally volunteer service and excellence. He exemplifies the ideal of 'Service above self'." 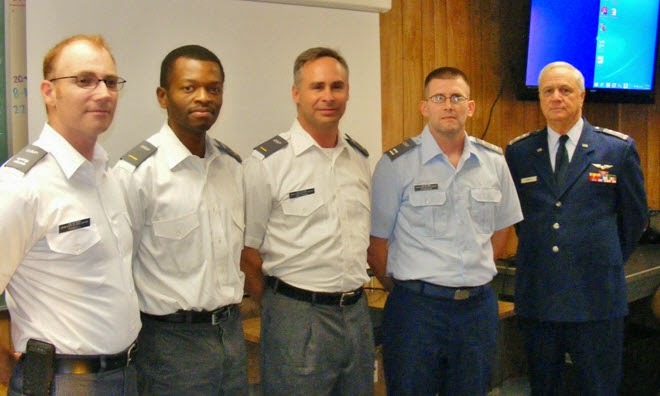 Captain Smith was recently promoted to the Field Grade of Major at the 18 September 2014 squadron meeting. We congratulate Major Smith on his promotion and thank him for his many years of tireless service to our squadron. At the 2 October 2014 squadron meeting we were happy to see a longtime member, Captain Hoppy, promoted to the Field Grade of Major. He is one of several members who have received such a promotion this year. We congratulate Major Hoppy for his promotion and thank him for his service to CAP and all he's done for our Unit. Assisting with the "enhancement" to Major Hoppy's uniform are Captain Rau of Squadron 150 and Lt. Colonel Watkins of California Wing. South Coast Group 7 Annual Awards Banquet - Congratulations Squadron 150 !!! 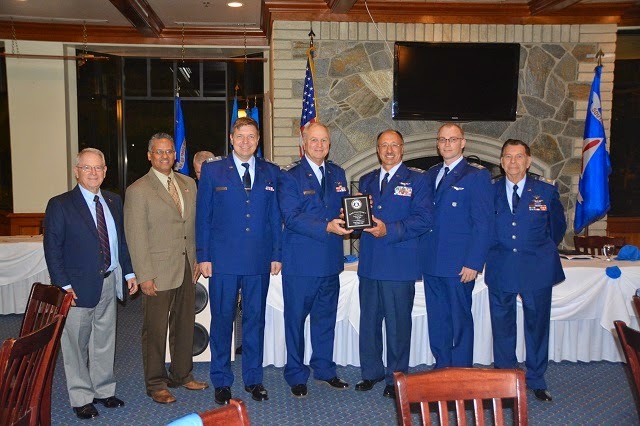 Anaheim, CA – Civil Air Patrol South Coast Group Seven California Wing hosted its annual awards banquet at The Phoenix Club in Anaheim, California. 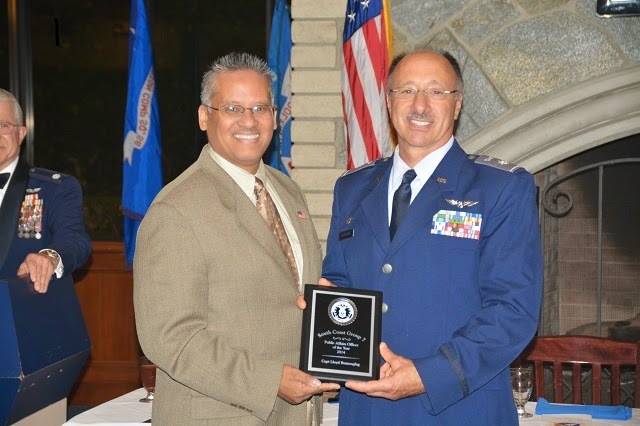 Group Seven Commander Lt. Col Robert Calderon and Deputy Commander Lt. Col Jim Robertson presided over the banquet. After dinner, members and guests were presented with a slideshow highlighting South Coast Group Seven’s accomplishments and activities. During awards, a few members received awards for their achievements and services. South Coast Group Seven Public Affairs Officer of the Year 2014 was presented to Capt. Lloyd Bumanglag. Capt. Dan Hoppy was awarded with Safety Officer of the Year 2014. The Commander Commendation Award for Outstanding Duty Performance was presented to Lt. Col William Phinizy. 2nd Lt Ralph Koons was nominated for Senior Officer of the Year and given an achievement award for Outstanding Duty Performance. 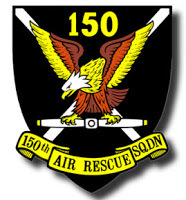 Proudly, Squadron 150 was declared the Senior Squadron of the Year 2014. 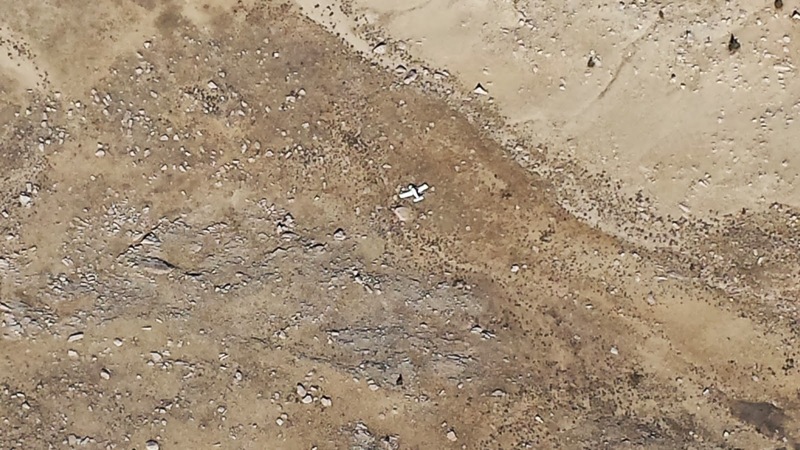 Fresno, California -- Civil Air Patrol’s California Wing has located a downed aircraft missing since Monday evening. The pilot, who was seen walking near the airplane, has been transported from the crash site in the southern Sierra Nevada Mountains via a National Park Service helicopter. CAP spotted the downed aircraft at 9:03 a.m. today near where the last known Emergency Locator Transmitter signal had been heard. The aircraft had departed from Reid-Hillview Airport, San Jose, California, on Monday and was destined for Lone Pine, California. Eight CAP members led by CAP Maj. Marc Sobel, the mission’s incident commander, conducted three aerial searches for the missing pilot. Initially, CAP launched an aircraft from Camarillo, California, at 11:28 p.m. Monday evening and received its first signal from the plane’s ELT at 12:44 a.m. The general location of the beacon was identified at approximately 1:05 a.m., in the southern Sierra Nevada Mountains, approximately 80 miles east of Fresno. Due to low nighttime visibility, the search mission was resumed today at 7:15 a.m., and the pilot was located two hours later. CAPT David Powell, joined CAP in 2014 partly out of a desire to serve and make a difference. Combining his passion to make an impact with the passion to fly in the Civil Air Patrol. CAPT Powell serves as the squadron’s finance officer. "...No man is an island, and we need each other as a crew to save lives together," says Captain Powell. 2LT Ghislain Martial N Ngangnang, joined CAP in 2014 completing the requirements and demonstrated skills and attitude necessary to be recognized with promotion to the grade of 2nd Lieutenant. 2LT Michael Wetsman, joined CAP in 2013 a commercial pilot for over 20 years, and currently serves as the squadron’s safety education officer. He is currently training to be a Gulfstream V instructor and is a CAP Transport Mission Pilots (TMP) and cadet orientation pilot. CAPT Brian Donegan, joined CAP in 2014 with the desire of being able to fly on missions while also serving the community. An officer in the United States Air Force currently stationed in California, CAPT Donegan serves as the squadron’s aerospace education officer. "..Our newly minted Officers are very exciting, it is a privilege to acknowledge those who have demonstrated an outstanding performance, as well as having their talents and experience mold into our Unit. They are an asset to CAP, and it’s an honor to have them continue to serve utilizing their leadership and growing expertise," says CAPT Lloyd Bumanglag, the unit's Public Affairs Officer. CAP, the official auxiliary of the U.S. Air Force, is a nonprofit organization with more than 60,000 members nationwide. CAP volunteers perform 95 percent of continental U.S. inland search and rescue missions as tasked by the Air Force Rescue Coordination Center (AFRCC) and also perform homeland security, disaster relief and counterdrug missions at the request of federal, state and local agencies. The Air Force Space Command's Space and Missile Systems Center awarded a $1.86 billion contract to Lockheed Martin Space Systems in Sunnyvale, California, for production of the fifth and sixth Space-Based Infrared System, or SBIRS, geosynchronous, or GEO, missile-warning satellites. "This is a great day in the history of the SBIRS program," said Col. Mike Guetlein, the production program manager. "We saved hundreds of millions by relentlessly pursuing efficiencies. We eliminated unnecessary layers of program oversight and contract reporting, restructured our test program, and streamlined the production schedules." The Air Force implemented the Defense Department’s Better Buying Power practices to make this program more affordable. "The magnitude of the savings is remarkable and directly attributable to the hard work and dedication of the combined Lockheed Martin and Air Force team over the past two years," said Lt. Col. David Menke, the Air Force's lead to build the next two satellites. SBIRS is the next-generation strategic missile-warning system replacing the 1970s Defense Support Program constellation. SBIRS delivers global, overhead, persistent, task able 24/7 infrared surveillance capabilities to meet 21st century demands for early warning of missile launches, while simultaneously supporting other critical missions including missile defense, technical intelligence and battle space awareness. The SBIRS objective constellation consists of four GEO satellites, two highly elliptical earth orbit payloads, and associated ground infrastructure. The fifth and sixth satellites will replenish on-orbit satellites in the constellation in order to maintain the required operational mission capabilities. The SBIRS program is led by the Infrared Space Systems Directorate at the Air Force Space and Missile Systems Center. Lockheed Martin Space Systems Company is the SBIRS prime contractor. Northrop Grumman Electronic Systems, Azusa, California, is the payload integrator. The 460th Space Wing at Buckley Air Force Base, Colo., operates the SBIRS system. AFSPC’s Space and Missile Systems Center, located at Los Angeles AFB, Calif., is the Air Force's center of acquisition excellence for acquiring and developing military space systems. Please click here to find the hometown news release for President Obama’s signing of the CAP Congressional Gold Medal bill into law today. Please note the importance of localizing the release by going to the CGM website’s Bios page for information on both living and deceased members in your respective states. This, of course, gives us another chance to tell those members’ stories through media publicity. We look forward to be able to publicize the results you achieve on the local, state and even national levels by highlighting them atwww.capgoldmedal.com. An encryption tool used by a large chunk of the Internet is flawed, potentially exposing reams of data meant to be hidden from prying eyes. The bug, nicknamed Heartbleed by researchers at Google Inc. and cybersecurity firm Codenomicon, could have affected two-thirds of active websites when it was disclosed Monday, they said. On Tuesday, website operators, including Yahoo Inc., raced to fix the problem. Several researchers said earlier that they had been able to capture Yahoo usernames and passwords. Many other major websites, such as Google, Amazon.com Inc. and eBay Inc., appeared to be safe, based on a test created by a researcher for cybersecurity company Qualys Inc. The bug exploits a problem in certain versions of OpenSSL, a free set of encryption tools used by much of the Internet. OpenSSL is managed by four core European programmers, only one of whom counts it as his full-time job. The limited resources behind the encryption code highlight a challenge for Web developers amid increased concern about hackers and government snoops. Websites increasingly use encryption to mask data such as usernames, passwords and credit-card numbers. That prevents a hacker lurking at a coffee shop from grabbing personal information out of the air as it travels to a wireless router. This type of encryption is called SSL, or secure sockets layer, or TLS, or transport layer security. Web servers that use the affected versions of the code store some data unprotected in memory. Hackers can grab that data, and reconstruct information about users or keys that would allow them to monitor past or future encrypted traffic. 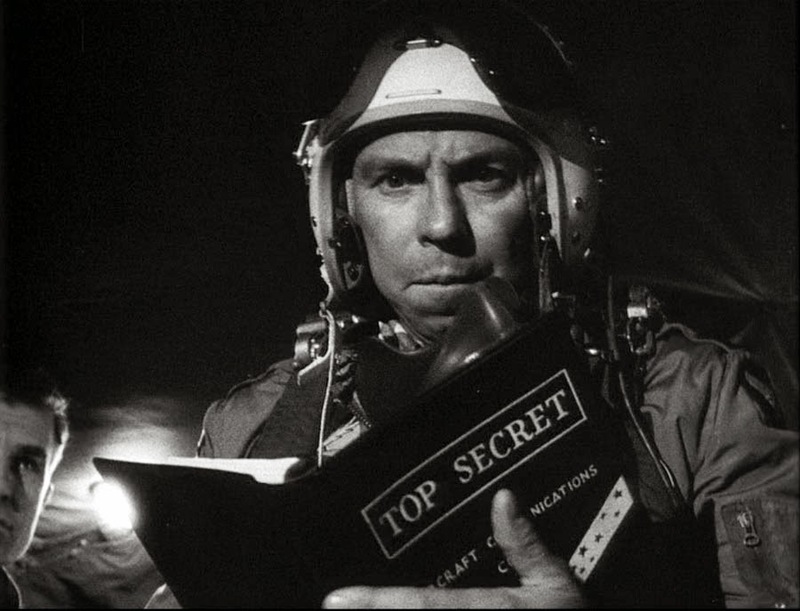 The National CyberThreat Level has been raised to HIGH. I can’t remember the last time that happened. · Change passwords for all online accounts and e-mail, giving first priority to critical accounts. It's that happy time of the month already. Attendance at this Thursday's meeting will garner an extension of members' safety currency. SM Mike wetsman will hold forth delivering the benedicition and then we will adjourn to an admin session whereby the folks who garnered their new (and re-treaded) ES ratings will lock them down into eServices. On hand to help with this will be the Commander and the Senior ES officer. Look forward to seeign you all there. 20. Finding "non-touristy" off-the-beaten-path places to stay, eat, visit, etc. to someone in some remote place such as Cape Verde or the Seychelles? 26. How many of your non-ham friends might have talked to an astronaut aboard the space station? 27. How many of your non-ham neighbors might have a satellite uplink station in their basements—or in the palms of their hands? 28. How many of your non-ham neighbors might have a TV studio in their garage? 29. What other hobby group has designed, built, and had launched its own fleet of communication satellites? 30. Where else can you play with meteors? 51. TEP, chordal hops, etc. In order to foster a more technical understanding of the principles of radio communication, the squadron commander, William Phinizy, K6WHP, is starting an "Elmering" program to interested members who wish to get their Technician (or higher) amateur radio license. Those interested in participating can simply go to this link to obtain a suitable training book for a nominal cost and, while studying, can obtain on-line practice examinations here. (1) Technician - VHF and UHF privileges, some HF privileges on 10 meters. (2) General - Most HF, VHF and UHF privileges. (3) Extra - ALL HF, VHF and UHF privileges. You have to matriculate up the ladder (i.e., cannot take the General before you pass the Technician) and NO license requires Morse code proficiency anymore. The eham.net link above provides sample tests WITH THE ACTUAL QUESTIONS FROM THE APPROPRIATE POOL. It will grade your test and provide you with a score. The art is to keep taking the tests until your scores come back consistently as 80% or more. (Passing is 70 percent.) Then you go to a local ham club who regularly holds these exams, pay them about $10, and take the test. They will grade it there so you will know if you pass. Then it's about two-three weeks before the FCC issues you a call sign. ..radios? That's the fun part. The hams in Squadron 150, CAPT John Frerichs, N6VCW, 1LT Dave Martin, KD6IQY, Major John Hill, K6JCH, and others will chime in on sources, recommendations, and how, what, why and good deals when you pass. Additionally, from time to time, we will be providing demonstrations of radios and technical points to support your study. Note that the question pool for the Technician license is changing in June so before you tumble for a book, determine if you can get your license before then. Otherwise, let's wait until then, get the new book, and hit it then. 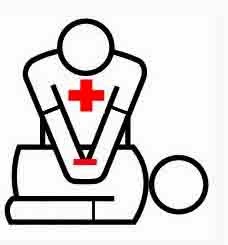 On 15 Feb 2014 members of Long Beach Senior Squadron 150 were joined by members of Falcon Senior Squadron 40 and Saddleback Composite Squadron 68 for CPR, First Aid, and AED training. 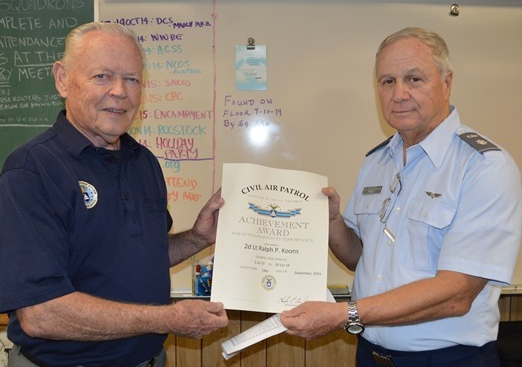 Overall, 15 Civil Air Patrol members received training on that day and will receive their certificates cards. Training was generously provided by members of the California State Military Reserve at a very low cost. Civil Air Patrol participants commented on the professionalism of the training group and remarked upon the high quality of the presentation. This is an example of how the CAP Radar Analysis Team is able to take radar data and visually show searchers where to look. On this particular mission, the wreckage was found within 65 feet of the estimate. “It’s a normal search and rescue mission,” Lt. Col. John Henderson said of Civil Air Patrol’s role in the search for missing Malaysia Airline Flight 370. 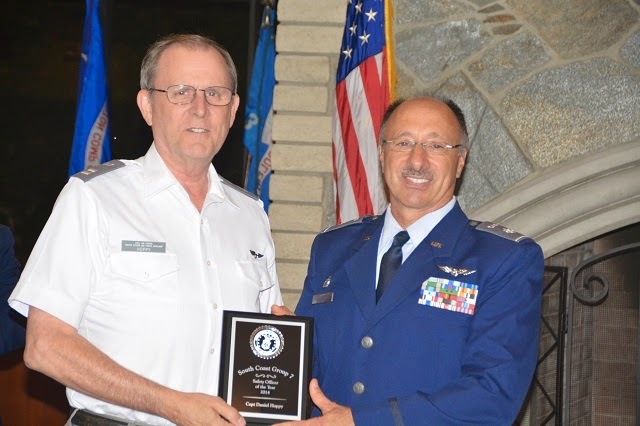 Henderson, a radar analyst for the U.S. Air Force’s 84th Radar Evaluation Squadron (RADES) at Hill Air Force Base, Utah, is vice commander of CAP’s 10-member National Radar Analysis Team. ”CAP brings different and unique tools to the table,” said Henderson, who is working 24/7 to narrow the search area based on the airline’s radar forensics information. “We have a lot of experience using different types of radar data, and our software tools are designed to use a lot of different formats of radar data. 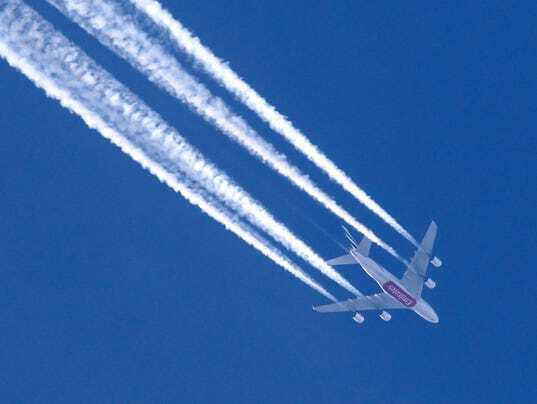 The goal is to utilize the radar data and radar signatures from the aircraft to determine its ultimate flight path,” he said. "Between the 84 RADES and Civil Air Patrol, we have a very robust capability to reduce radar data into usable and actionable forms, to include stitching together tracks from multiple radar systems,” said U.S. Air Force Lt. Col. Ian Kemp, commander of the Air Force Rescue Coordination Center. CAP performs 85 percent of continental U.S. inland search and rescue missions as tasked by the AFRCC. Henderson’s SAR track record is impressive. In 13 years, he has participated in more than 600 CAP radar analysis missions with “well over 150 finds” and about 45 lives saved, he said. In 2007 he helped narrow the search for Adam Flight 574, an Indonesian B-737 that went missing during a flight between Surabaya and Manado with 96 passengers and six crewmembers aboard. Recruited by the U.S. State Department for assistance after a massive effort to find the jet failed, Henderson was able to direct searchers within a mile of the crash site in 6,500 feet of water in the Makassar Strait. “The black box is really key to knowing what happened, besides finding the wreckage,” he said. Lyon Air Museum, a premier Southern California showcase for vintage historic military aircraft and vehicles, will conduct a symposium and book signing paying tribute to the more than 1,000 women who served as Women Airforce Service Pilots (WASPs) during World War II. LAM Docent and acclaimed author, Nancy Robison, will be on hand to sign copies of her latest book, “We Love to Fly,” about the brave and amazing WASPs who flew in support of the war effort. In spite of this, they were not considered as military personnel at the time, and their service did not receive adequate recognition, nor military benefits, in the years following the war. It wasn’t until 1977 they were granted veterans’ status and the official acknowledgment they so deserved. As part of the program, World War II veteran WASPs will be on hand to tell their incredible stories, including 95 year old Beverly Beesemyer, who served while flying B-26 bombers stateside, towing targets for live ammunition practice. At the conclusion of the talk, an AT-6 Texan advanced trainer of World War II, the same type of aircraft often piloted by WASPs, is scheduled to take to the skies for a quick demonstration flight. “What a ship,” remarked Beesemyer after her first AT-6 training flight in 1944. “What procedure, what confusion!” she continued. And what a ship it was. The North American AT-6 Texan was a sophisticated single-engine aircraft used to train pilots of the US Air Forces, US Navy, Royal Air Force and other air forces of the British Commonwealth during WWII and into the 1950s. Powered by a 600 horsepower engine, and quite challenging to maneuver during takeoffs and landings, the complex “Texan” was designed to teach the Allied flyers all they would need to know before flying high performance aircraft in combat. LAM’s AT-6 es as a tribute to millions of men and women who served during World War II, and pays homage to the dedication, sacrifice and contributions of those like the WASPs who helped pioneer the skies. General admission–$12; Seniors and Veterans–$9; Ages 5-17–$6; Under age 5—Free. Groups of 10 or more–$1 off each visitor. Pre-arranged school groups—Free. In addition to Bev Beesemyer, Dawn Seymour, WASP, class 43-5 will also be at the Lyon Museum. The Civil Air Patrol was first created as a way for citizens to server their communities, and this mission remains strong today. You can ensure the future of CAP through a gift in yur will or living trust. A special type of gift, called planned gift, allow you to provide future for your loved ones and CAP. Gift planning is finding ways to make charitable gifts now or after your lifetime while enjoying financial benefits for yourself. Planned gifts are sometimes referred to as "stop-and-think" gifts because they require some planning and often help from your professional advisors. Unlike cash donations, they are typically made from assets in your estate rather than disposable income, and come to fruition upon your death. The Power of Endowments and Memorials. BDU, Blue Field Uniform, or Polo Shirt Combo are recommended and preferred. Appropriate civilian attire also allowed. To reserve your spot for this training (or if you have any questions) simply respond to this e-mail (sq150hso@yahoo.com). There are only 30 spots available and I expect them to be filled quickly so don't delay! Space Tech Conference 2014 - Program Announced! We are pleased to announce an expert faculty of speakers from across the commercial, government and DoD space sectors for the Space Tech Conference 2014! The action-packed Space Tech Conference program (Long Beach California) will see some of the world's leading pioneers in the space industry sharing critical insights into delivering successful space missions. With a 3-day program offering unrivalled experience-based learning, the Space Tech Conference will help you partner and collaborate more effectively, improve procurement processes, increase efficiency, and leverage the latest technologies to help improve capabilities and lower cost. This blog page is for informational purposes only and not intended as an endorsement of any JustFlight products. On Thursday January 16 at 1800 hrs, the Commander will hold the Quarterly Planning Meeting at the CAP Los Alamitos Facility. On Thursday January 16 at 1930 hrs, CAP Tom Barbre will present the Squadron 41 Glider Program. Come and learn more of the Glider Program. 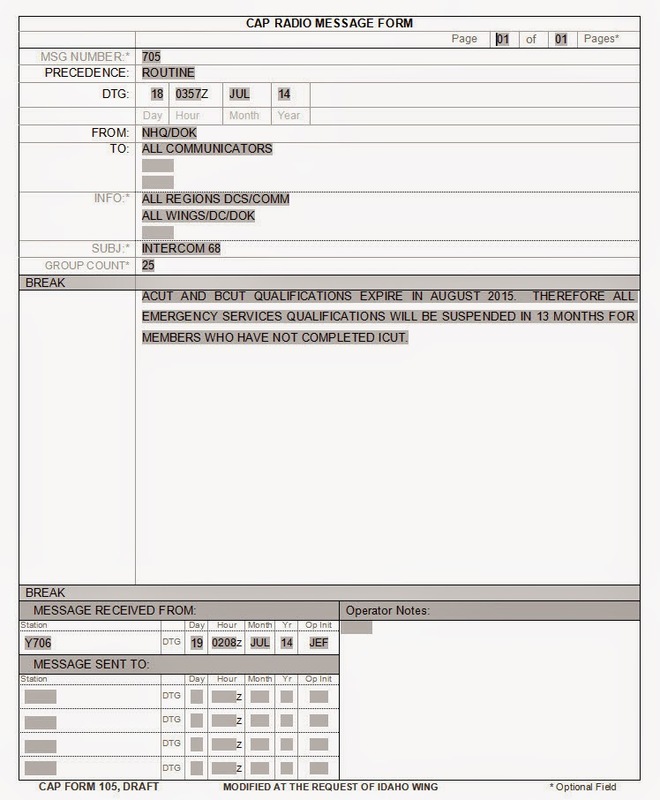 PA Status for Group 7 and Squadrons.